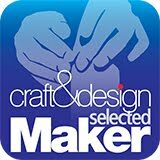 I am so pleased to have won the gold award in the Craft & Design selected maker 2015, I make the things I like to make and I find it’s quite humbling to find so many people like what I am doing, a very special thanks to all the people who have taken the time to vote for me it is very much appreciated, also thank you to John Makepeace, Judge, for selecting my work I think a very tough call with such talent in the final, I must also give a big thank Angie & Paul for their help and support over the years. 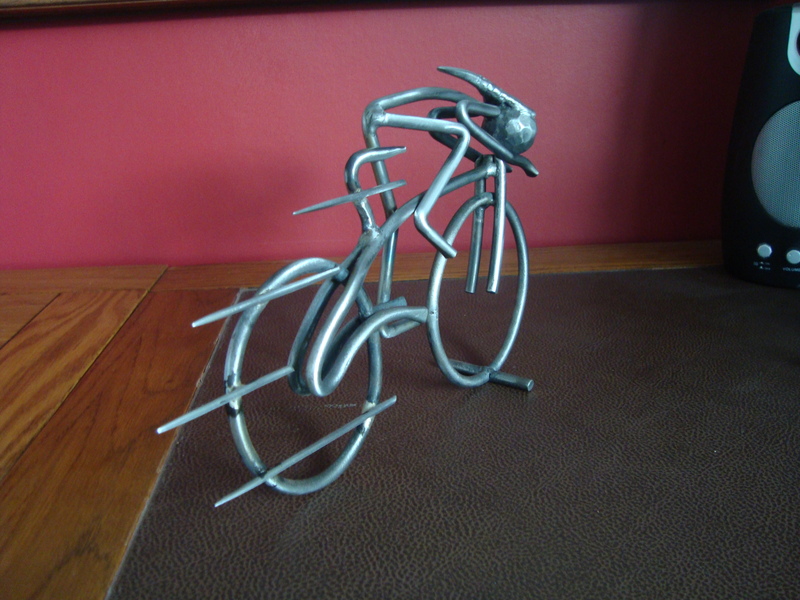 Sculptures now installed in the dining room, Good luck to you all hope you enjoyed the day and the end result. 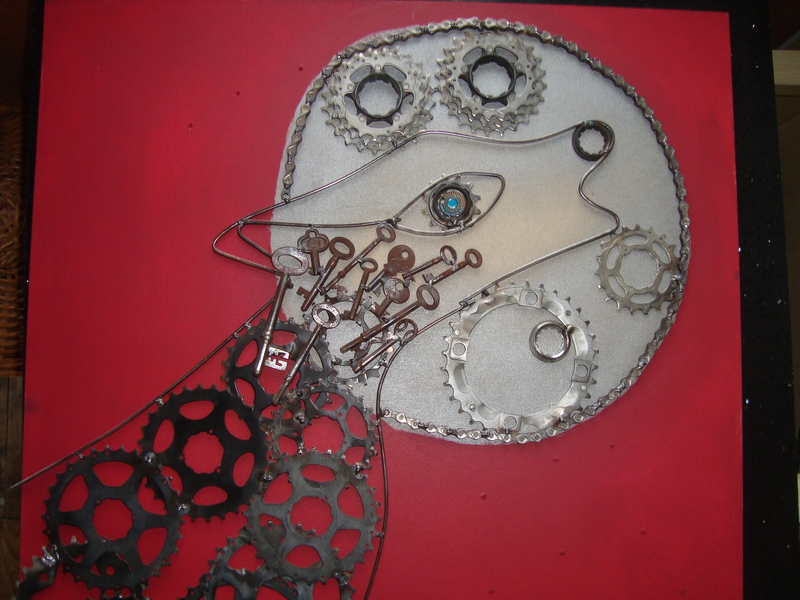 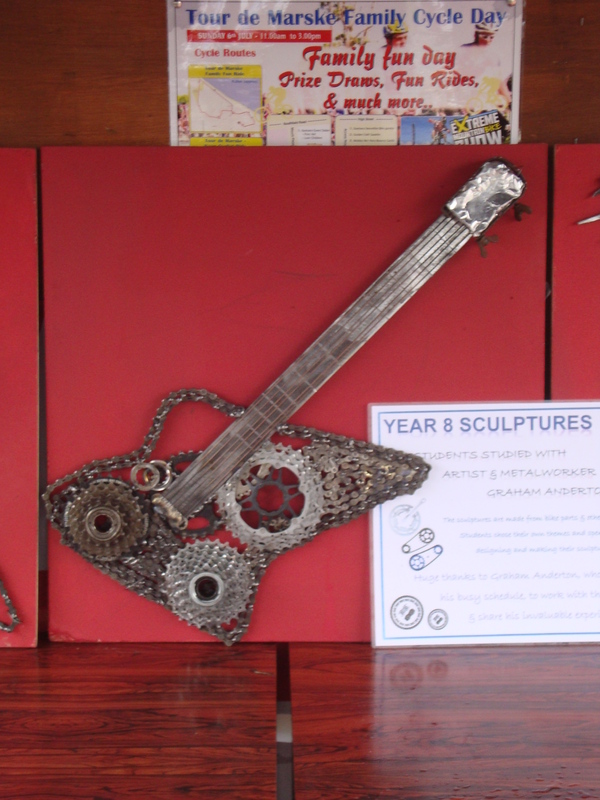 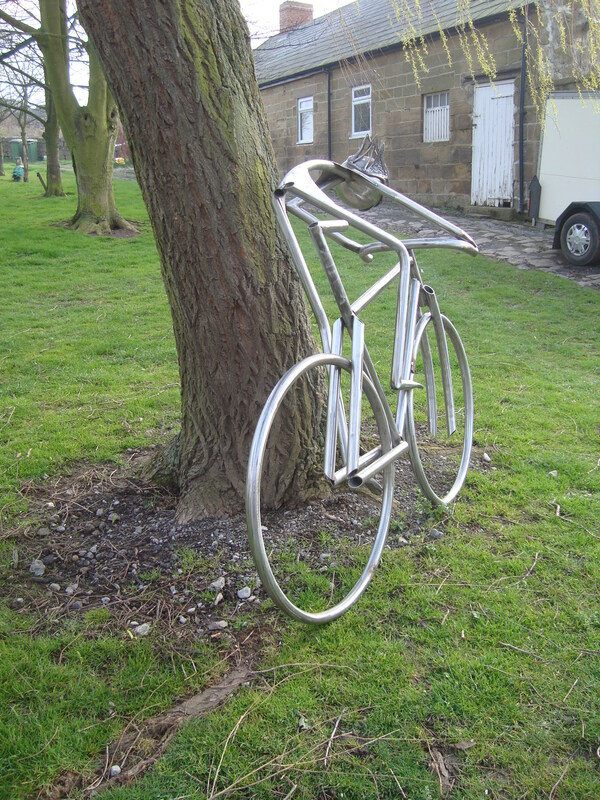 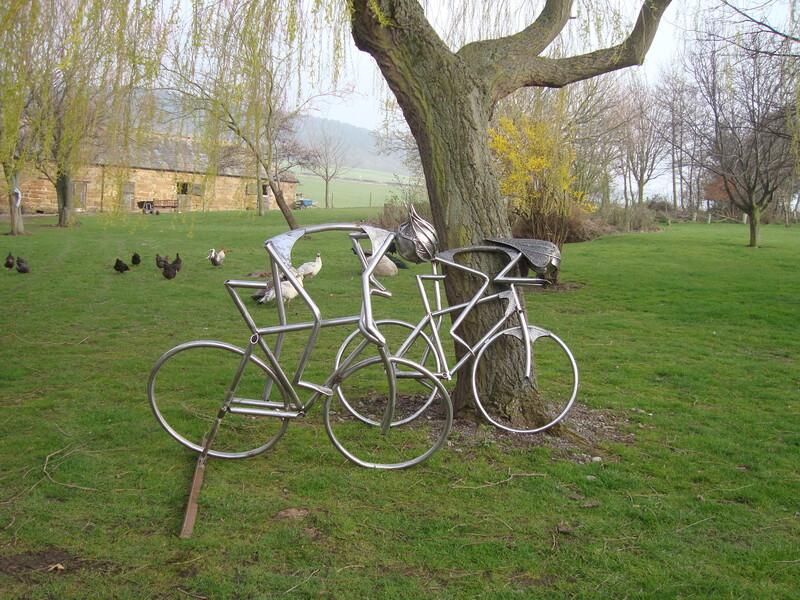 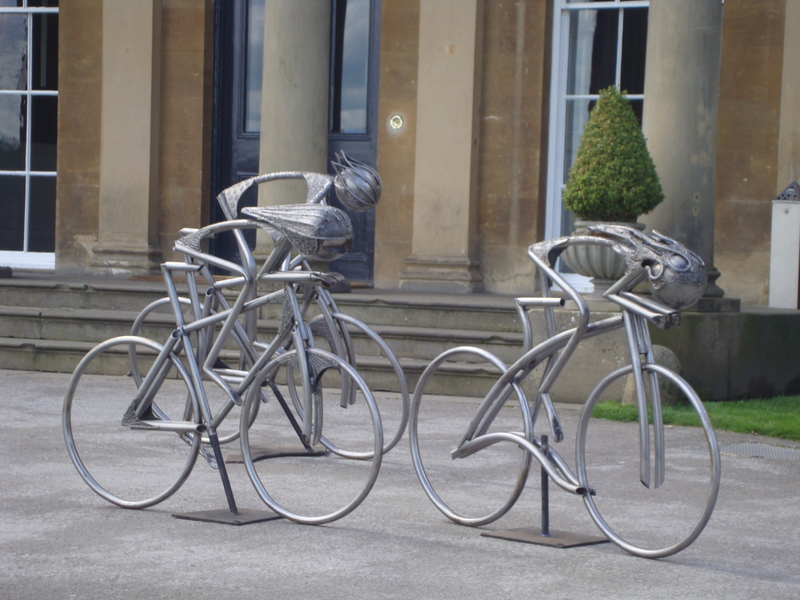 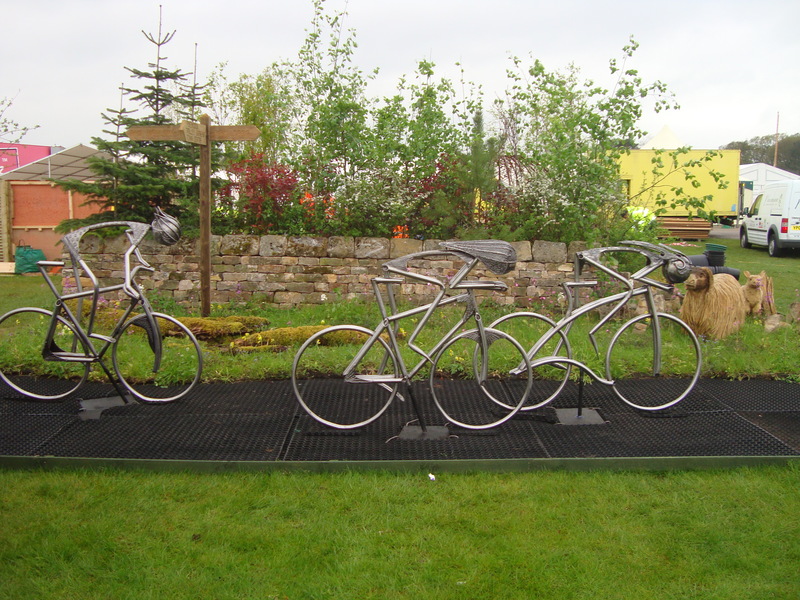 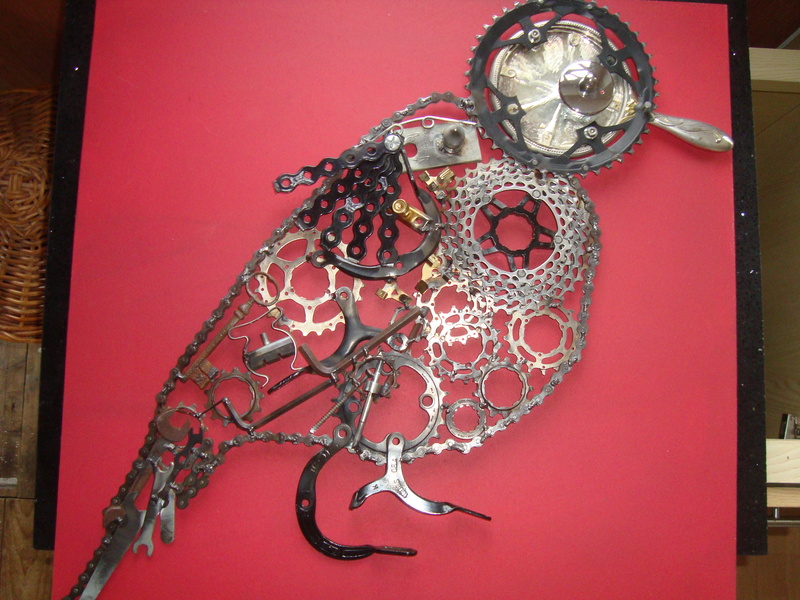 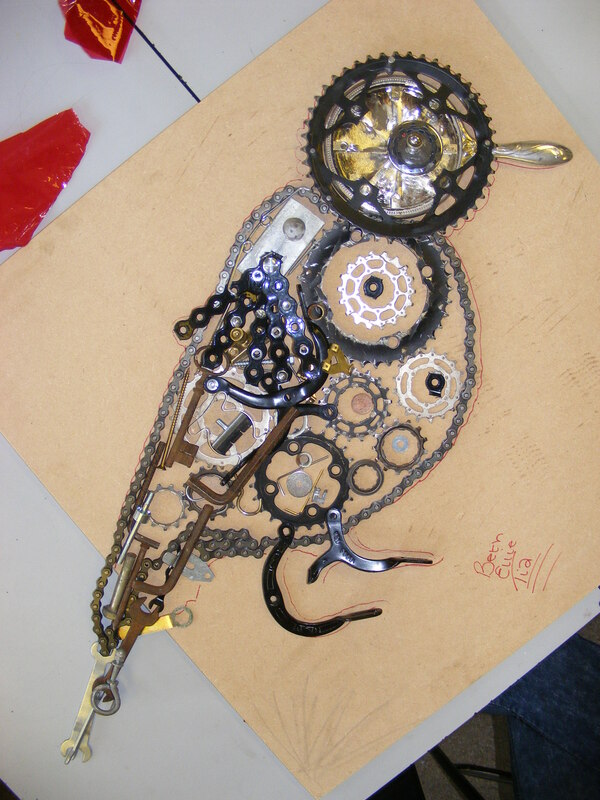 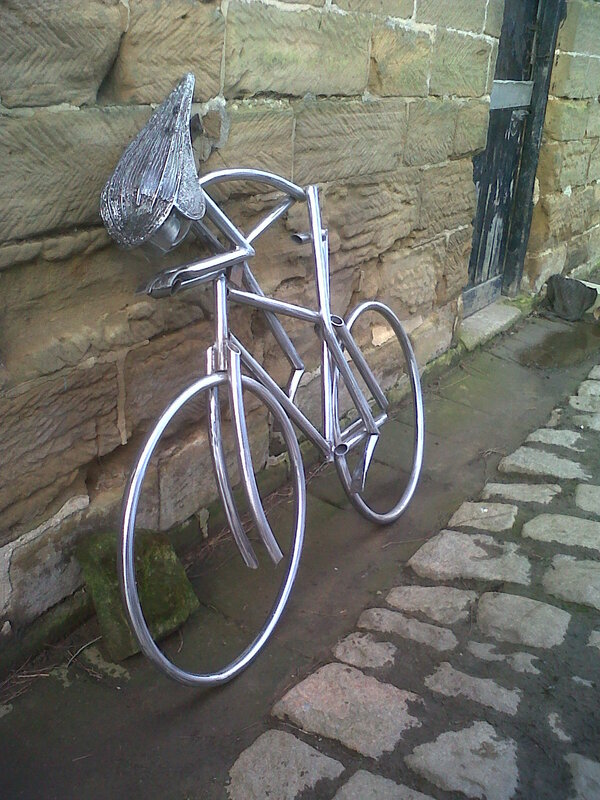 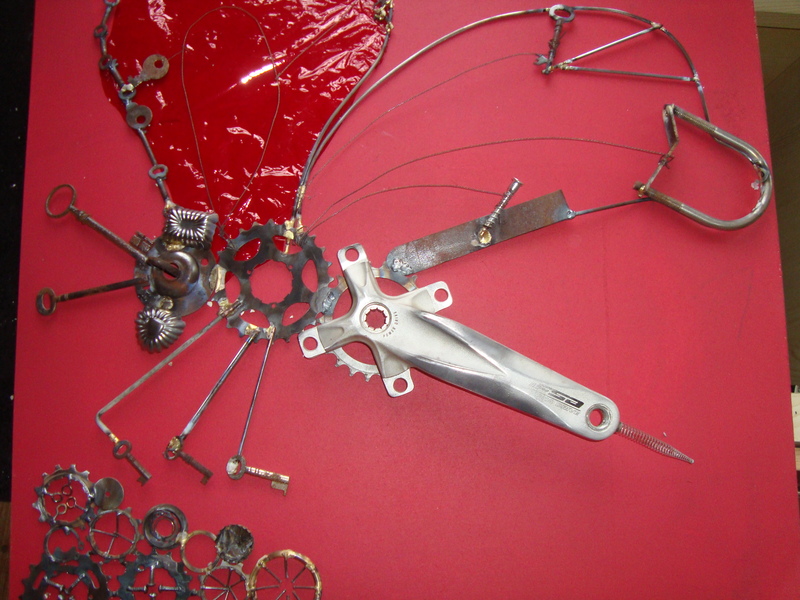 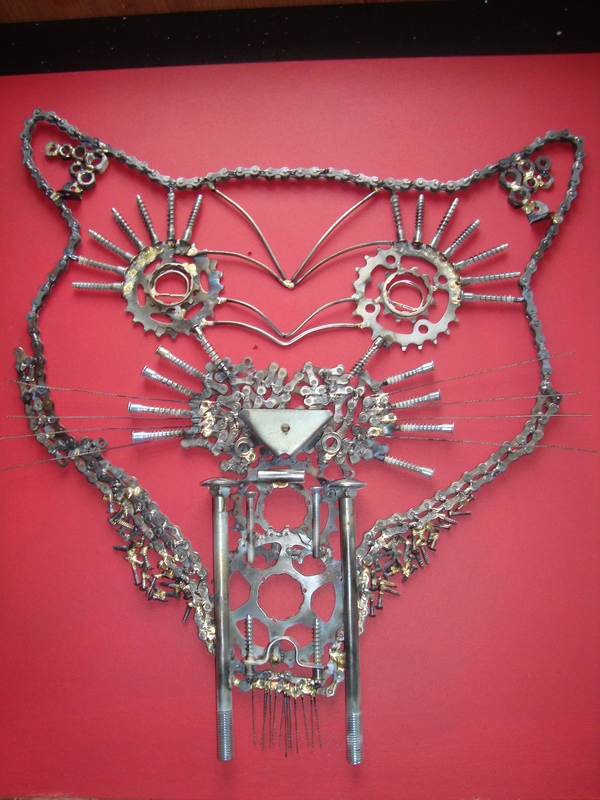 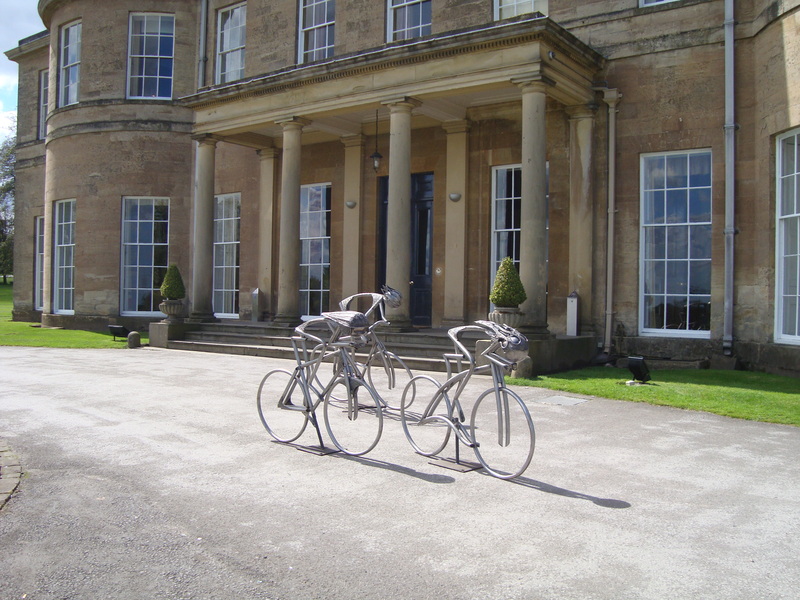 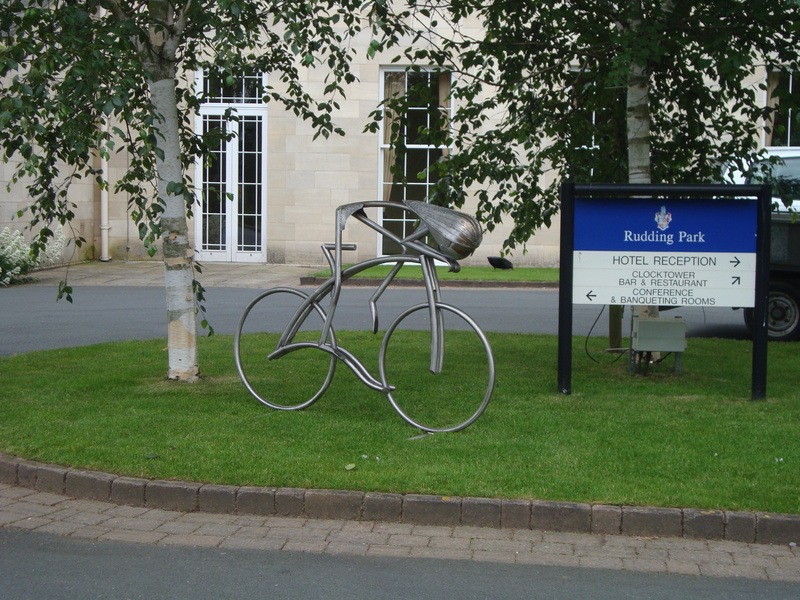 Because of the Grand Depart starting in the north, it was decided to make metal sculptures from recycled bike parts and some other parts the students had collected. 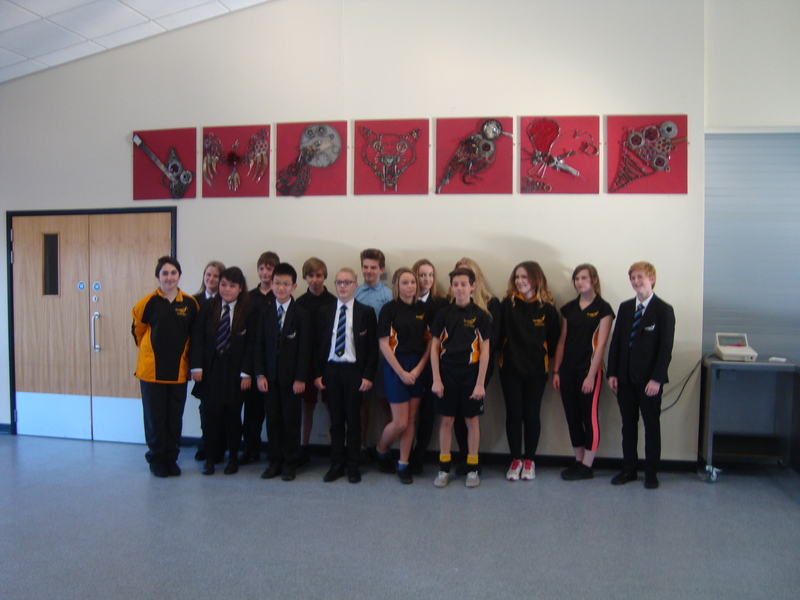 Last week I had the pleasure of working in Rye Hills School Redcar with year 8 students. 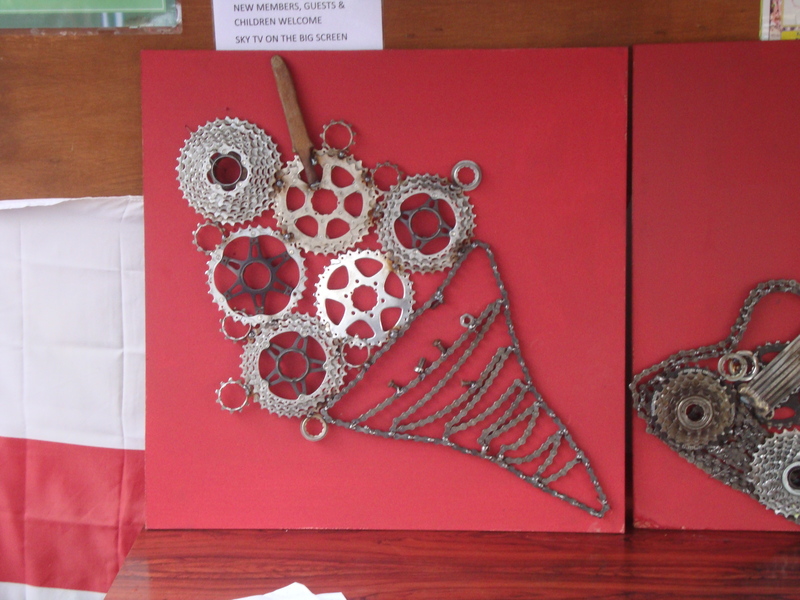 cool bunch of guys, they all came up with some fantastic ideas. 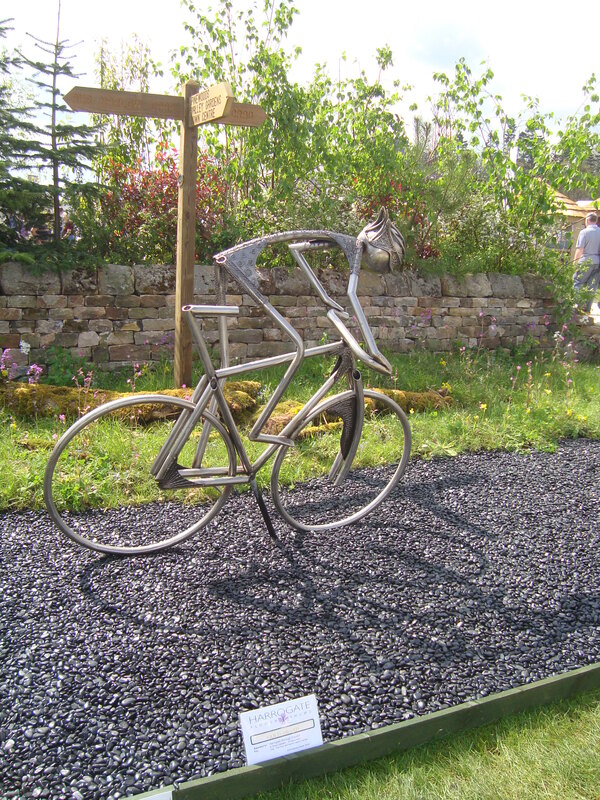 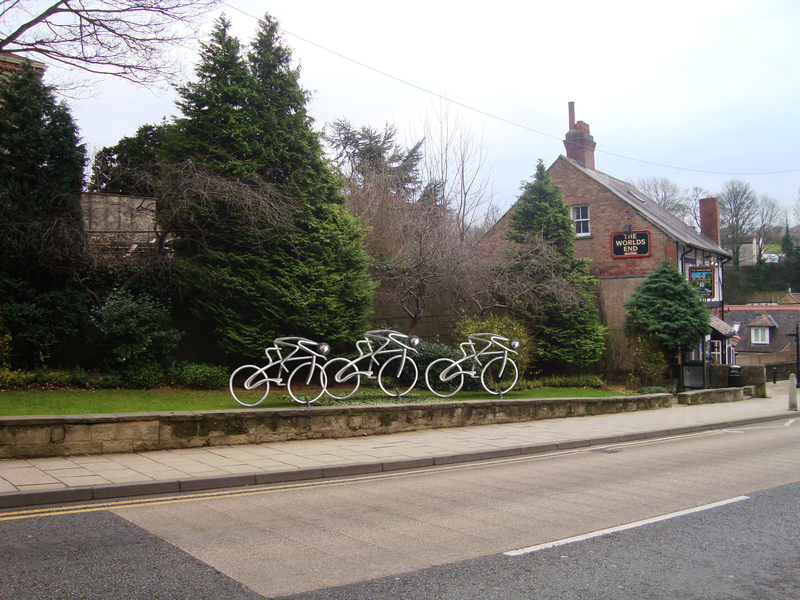 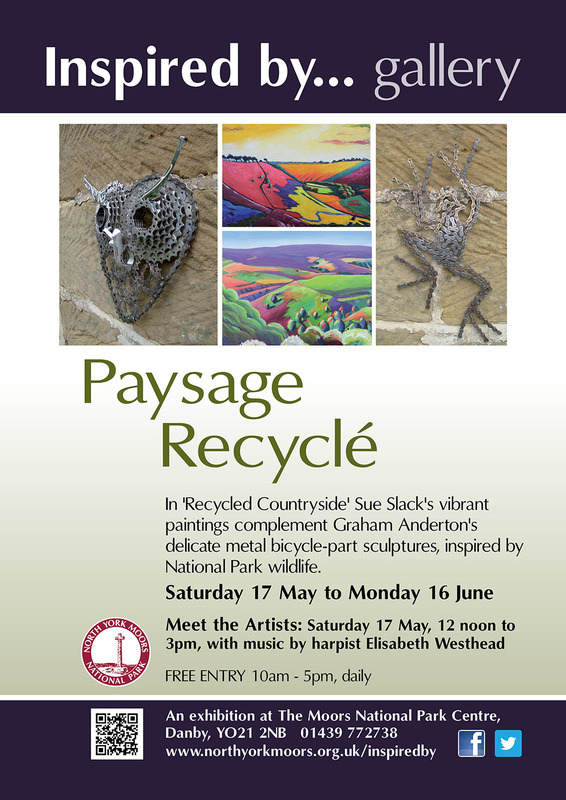 thanks to there hard work it was a very successful day, Eight Sculptures where made, three of them I managed complete and where display In the lesser known Marske Tour de Marske Family fun day at the weekend. 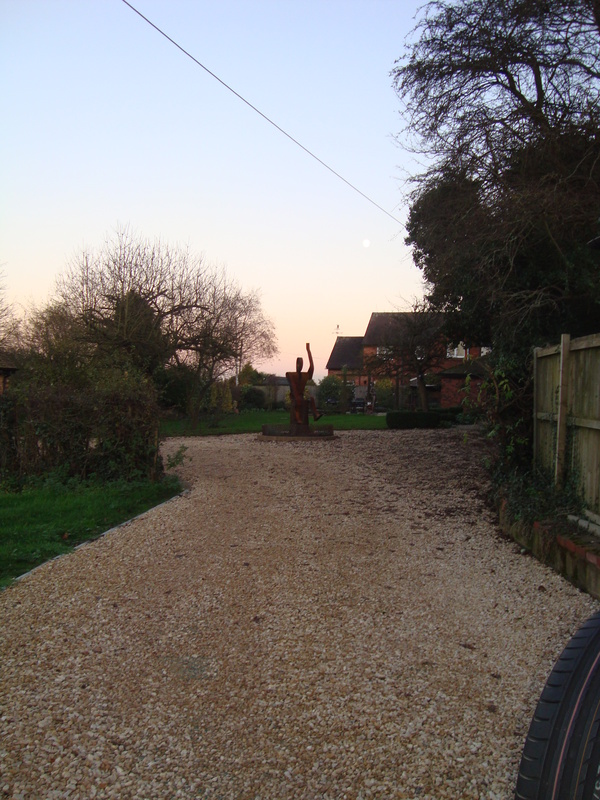 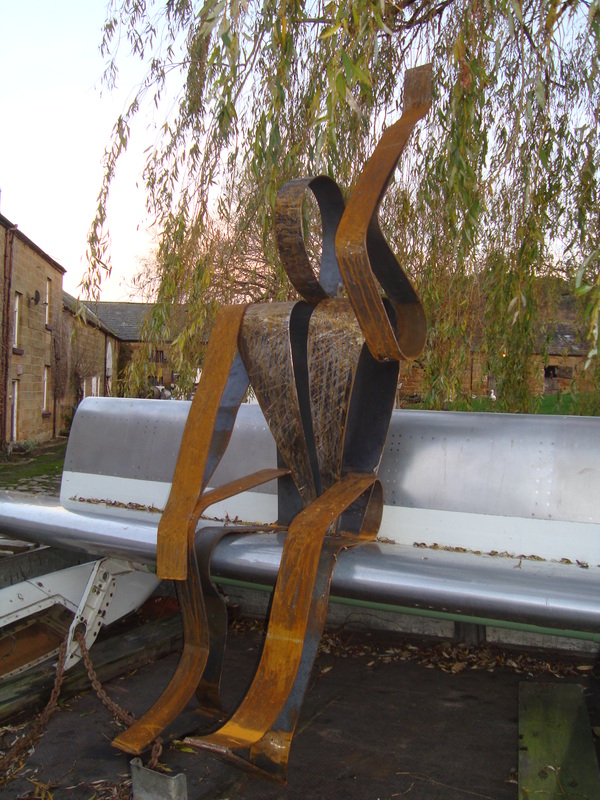 the rest of the sculptures will be completed before the September term starts. 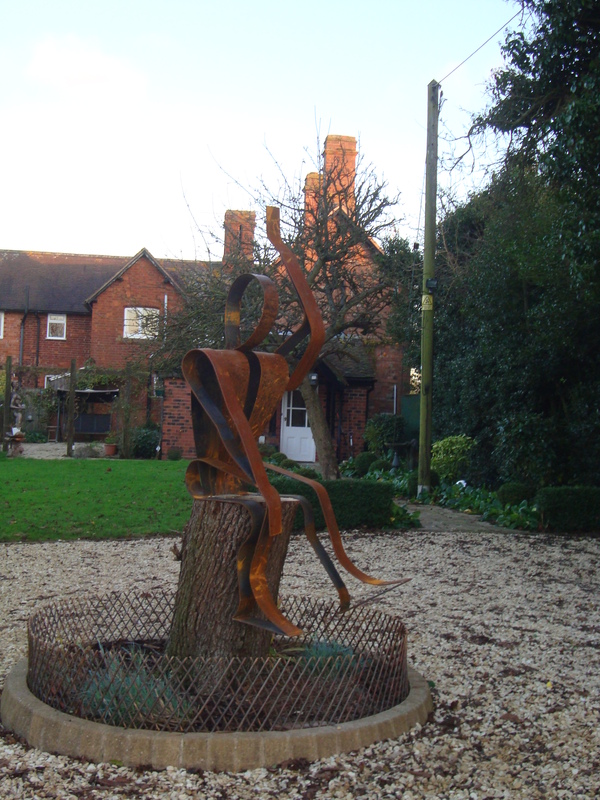 Thank you to all the people who voted for me, it is very much appreciated, also good luck to the other six finalists. 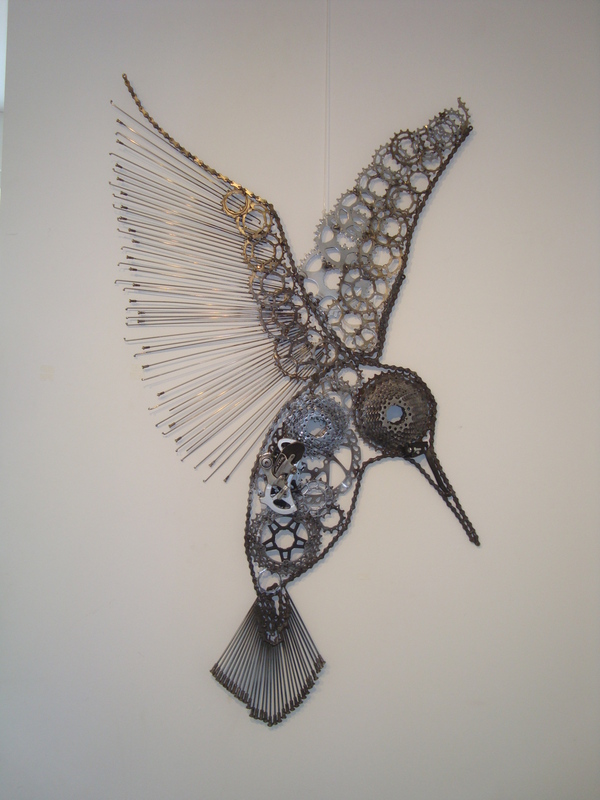 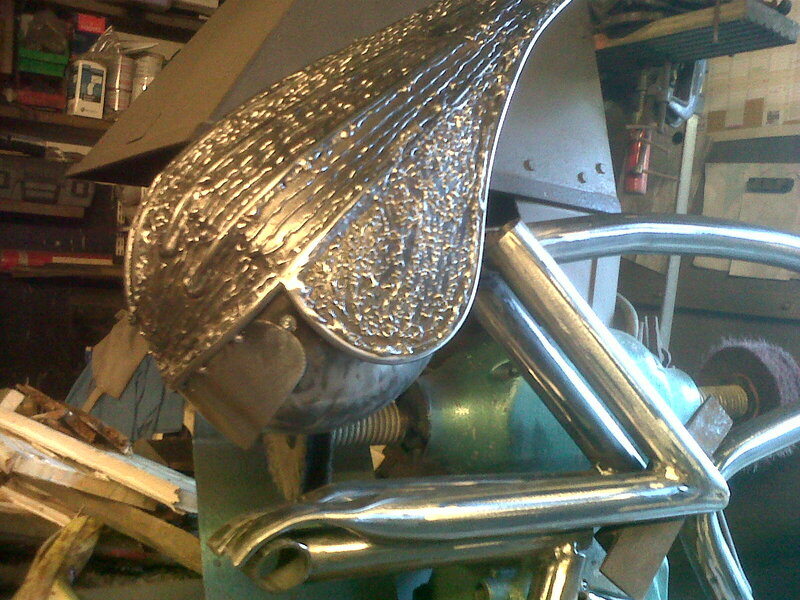 Kingfisher made from old bike parts. 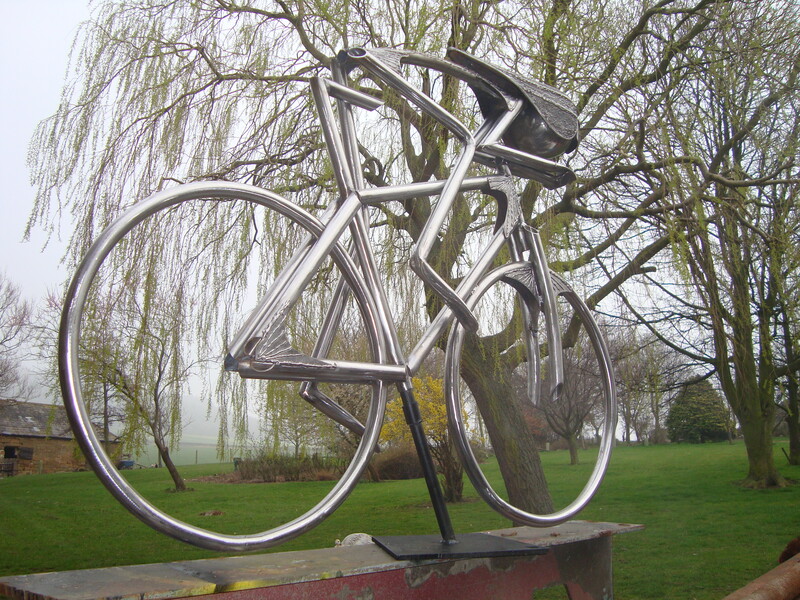 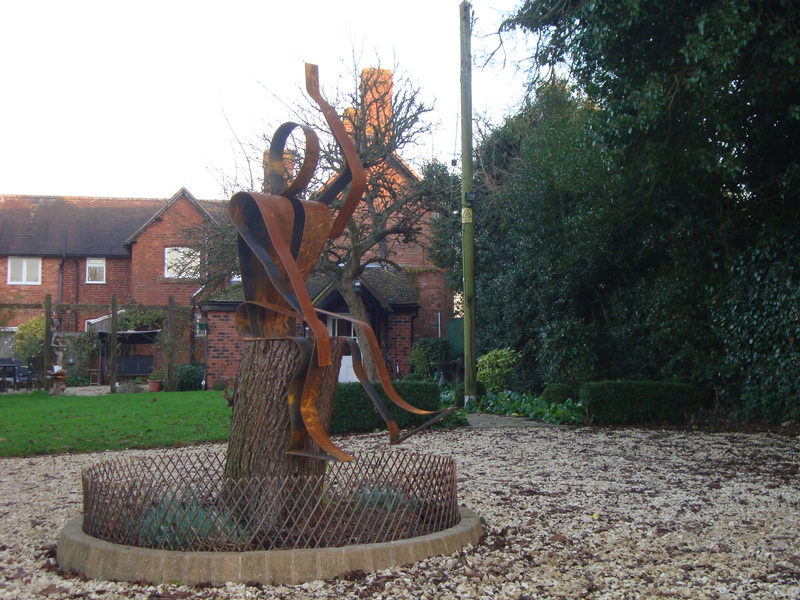 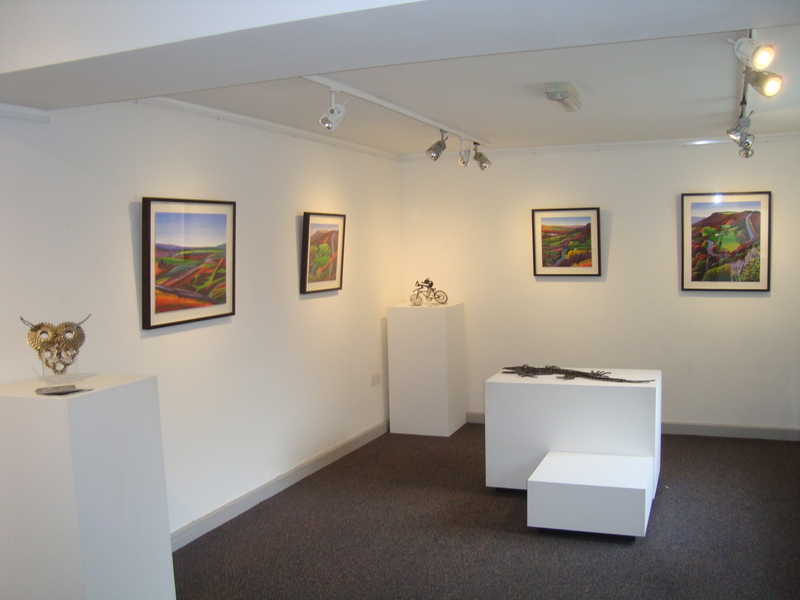 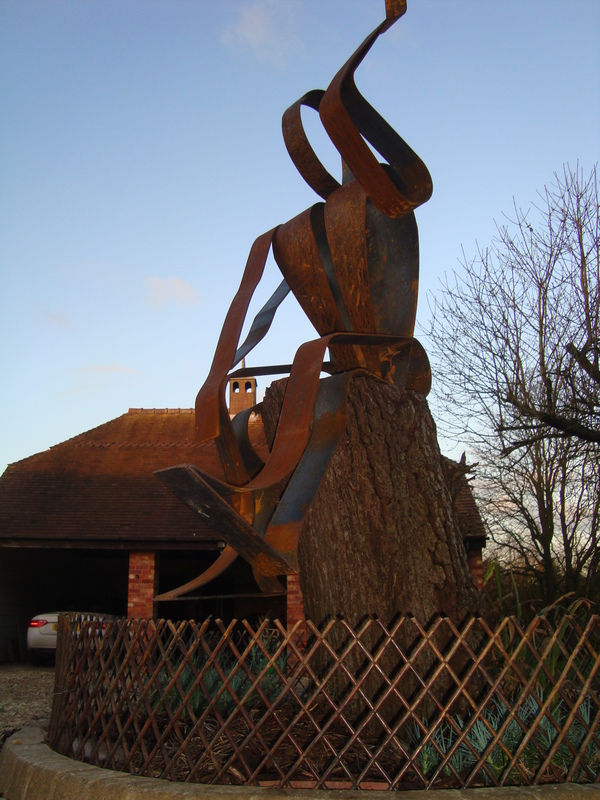 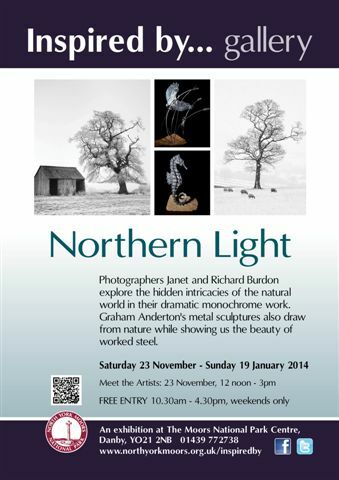 Anne Jones Absolutely stunning sculptures by Graham Anderton. 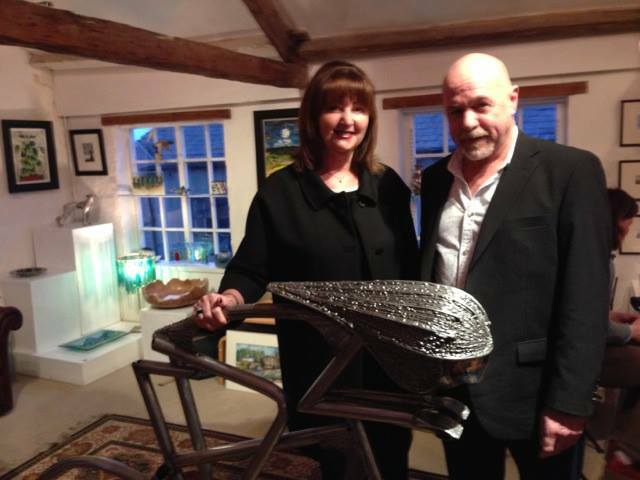 A pleasure to meet the artist, what a nice guy he is! 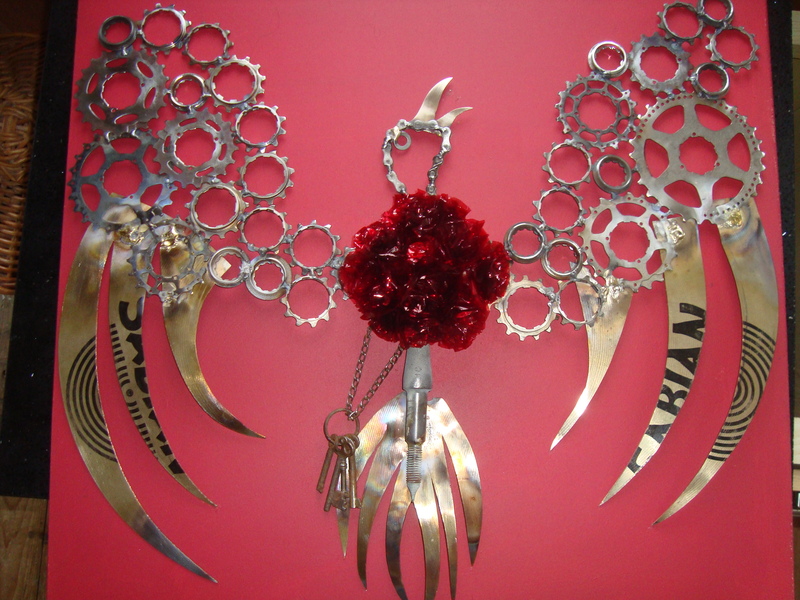 Also can I take this opportunity to thank all the people who voted for me last year it is much appreciated. 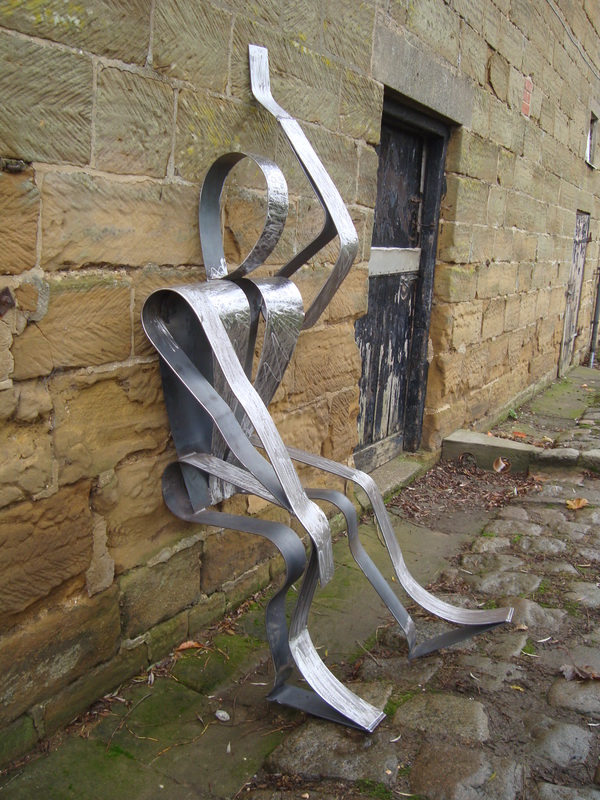 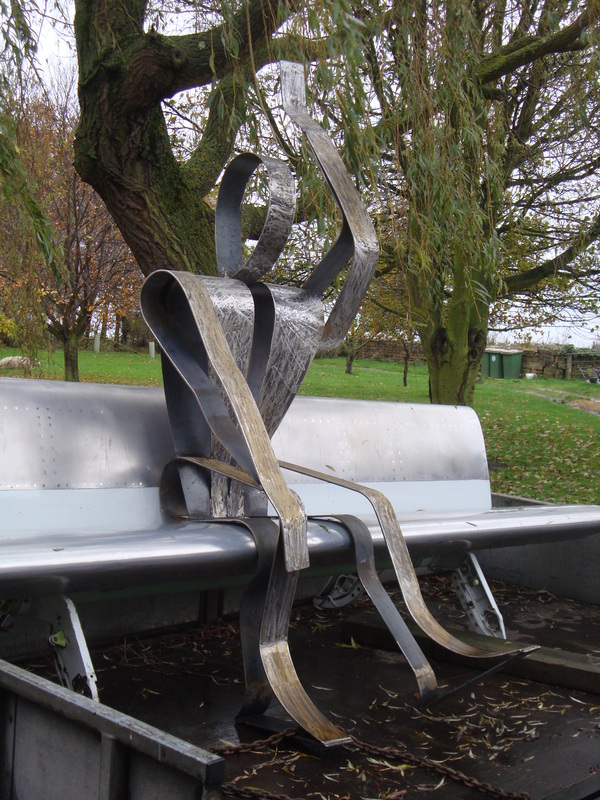 Great art, enjoy opening up your website, is the bench made from aircraft wings? 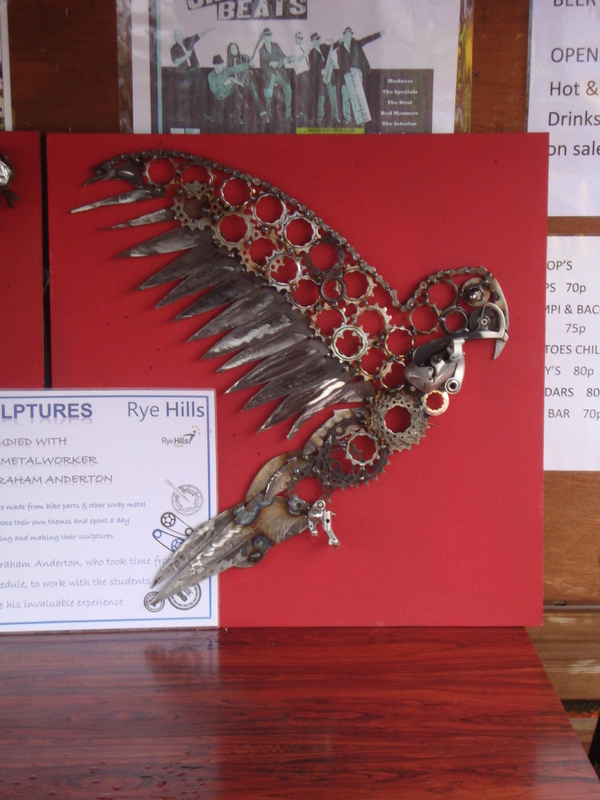 Well spotted Ray its was a KLM, Boeing 737, Thanks for the comments its good to get feed back.